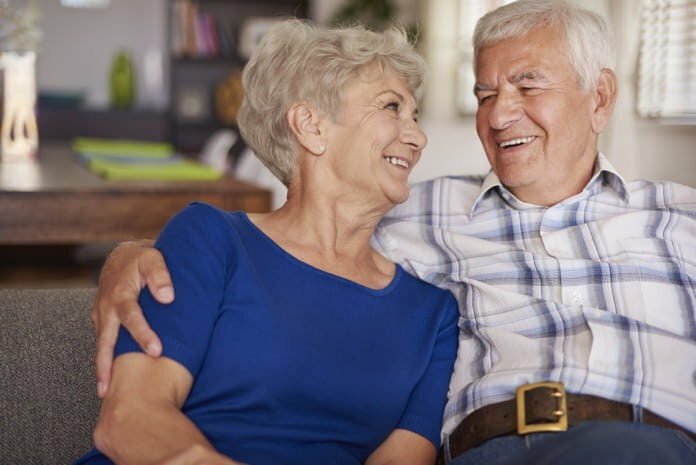 A recent study investigated whether Parkinson’s disease affects intimacy and relationship satisfaction when the caregiver is a female spouse. Parkinson’s disease with mild cognitive impairment is a long-term neuro-degenerative disorder that mainly impacts the individual’s motor functions. Early symptoms include difficulty walking, shaking, rigidity, and slow movement. Between 20% and 50% of those with Parkinson’s disease will develop mild cognitive impairment, and up to 80% will develop dementia following Parkinson’s. Dementia with Lewy Bodies is the second most common type of dementia, and it shares many symptoms with PDD. This condition requires an increasing need for care as it progresses and the burden of care often falls on a loved one or spouse. This can have a profound negative impact on the quality of life of the spouse as shown by previous studies. A recent study in Age and Ageing investigated the quality of life of the caregiver as a female spouse and how intimate relationships may change when their partner develops Parkinson’s disease with mild cognitive impairment, dementia following Parkinson’s, and dementia with Lewy bodies. The study was part of the Individualised Cognitive Stimulation Therapy project (INVEST), which focuses on psychotherapy for people with dementia related to Parkinson’s. The researchers recruited participants mainly from the greater Manchester area as well as through various charity websites in the United Kingdom. The study included current caregivers to a spouse with Parkinson’s disease with mild cognitive impairment, dementia following Parkinson’s, and dementia with Lewy bodies. For the study, a Ph.D. candidate interviewed the participants. The PhD candidate was already familiar with the participants through the INVEST project and therefore had already established trust and rapport. This is one of the first studies of a qualitative nature focusing primarily on the perspective of the female caregiver. Three primary themes were identified in the research. These themes were: altered relationship, acceptance and adjustment, and care-partner challenges. An important finding in the study is that progressive decline of the patient resulted in a progressive decline in intimate relationships between caregiver and spouse. When dementia had emerged, the impacts on the spouse or caregiver substantially increased. This resulted in greater frustration, sadness, anger, worry, resentment, and loss of freedom. Another important finding was that caregiving spouses continued with resilience despite the increased neuropsychiatric symptoms and cognitive impairment of their spouse with Parkinson’s. The study also found that it was easier for the caregiving spouse to cope with the motor symptoms of Parkinson’s disease than cognitive impairment. There were some limitations in the study. Since the interviews included only female caregivers, it limits the role of gender and its impact on long-term intimate relationships in generalizing the results of the study. However, the study has been valuable in making insightful progress into understanding the impact of the changing patterns in Parkinson’s disease, particularly with regard to intimate relationships with the caregiver. Reference: Vatter, S., McDonald, K. R., Stanmore, E., Clare, L., McCormick, S. A., & Leroi, I. (2018). A qualitative study of female caregiving spouses’ experiences of intimate relationships as cognition declines in Parkinson’s disease. Age and Ageing.